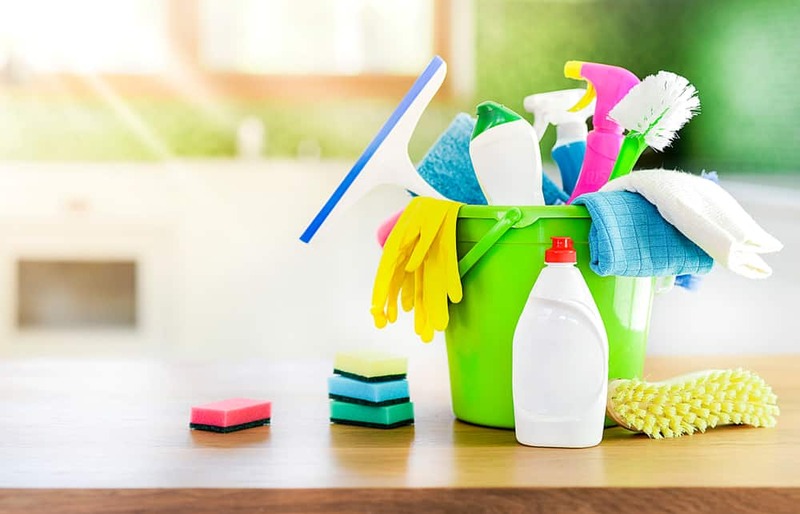 Now that the weather is warming up and spring is less than a week away, it’s time to get some spring cleaning done at your small business! This may seem like a daunting task, but we always find that making a list is the best way to prioritize and ensure that you don’t miss anything. Read on for 5 ideas to get your office ready for spring! One important step for your spring cleaning is, of course, actually cleaning. This means cleaning papers off your desk that have been sitting dormant on your desk since last spring cleaning. Cleaning your desk and its surrounding areas of old documents is important, but that’s not all you should be doing; if you’re like any modern business, you have plenty of digital files. If you have PDFs in your scan folder dating back to 2016, that’s a pretty good indication that you’ve got some deleting to do. Clear out your computer’s recycle bin, archive emails that you don’t need anymore, and organize your files into neat, clearly labelled folders. If you do this properly, it will take a while. Hopefully you set up some goals for yourself, your business, and your employees in January. If not, it’s better to start now than never! However, if you did come up with a list of solid goals, the start of a new season is a good checkpoint to follow up and take stock of your progress since the new year. If these goals are quantitative, we suggest setting up an Excel sheet where you can input these numbers throughout the rest of the year. Take the time to sit down with your employees and discuss what works and what doesn’t. Any sales tactics, products, or general day-to-day operations that are not performing up to par need to either be adjusted or scrapped. Additionally, if you’re selling a product or service, figure out the draw to your company over others that are in the same area and in the same industry. Figure out your unique value proposition and include it in your marketing efforts; you want your clients and potential clients to know why they should choose your business and stick with it for years to come. Make sure your insurance policies are up to date. Are your liability limits high enough? Is your address accurate? Is your policy expiring soon? Do you need anything on your policies to be clarified? If you notice any issues or have any questions about your insurance, it doesn’t hurt to contact your insurance agent and make sure everything is up to date and your assets are covered. You may even want to consider purchasing an additional insurance policy as needed depending on the nature of your business. After all, you don’t want to be stuck in a situation where you don’t have enough coverage in the event of a claim or a lawsuit! This is an essential task to complete at least once a year, but it’s often overlooked. In the digital age, many people will not do business with you unless you have an active website. How many times have you Googled something like “insurance companies near me” or “best places for breakfast in Media, PA”? We’d venture to guess at least once a month. The local businesses that show up when you search something like this didn’t just get lucky. They have a strategy in place to optimize SEO, and this includes regularly updating their website with content that people want to see. If you want to show up next time someone asks Siri for the best [insert your industry here] businesses in their area, you’d better keep your website updated and mobile-friendly! Call Risk Averse Insurance in Media, PA to discuss your business or personal insurance. Risk Averse Insurance is an insurance agency in Delaware County that specializes in providing high-quality insurance products at an affordable price. Does My Roommate Need a Separate Renters Insurance Policy? What Does General Liability Insurance Cover?